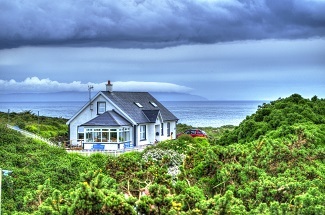 Coolnagrock Bed and Breakfast is situated on the east side of Rathlin Island with uninterrupted views of the Mull of Kintyre in Scotland as portrayed in the Paul McCartney "O' Mull of Kintyre, also views of Church Bay and beyond . The only B&B on Rathlin where one can see Scotland and Ireland at the same time . Enjoy the peace and tranquillity of being away from the hustle and bustle of the harbour area but yet only a short walk from all the facilities . Relax and enjoy the sights and sounds of nature in the B&B garden . The B&B can accommodate 6 persons. Upstairs two double/twin/family rooms and on the ground floor one double room. 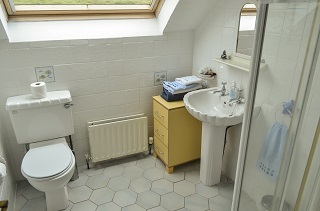 All rooms are en suite. . The bedrooms have hospitality trays with tea, coffee and biscuits . 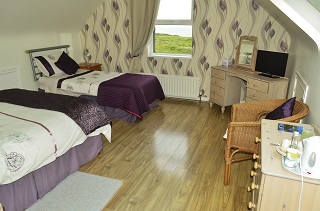 Televisions, hairdryers, ironing facilities and free Wi-Fi are provided in each bedroom . Travel cot, highchair and baby-sitting are available . The B&B provides a wide selection of cooked items for a full Irish breakfast and a varied choice of continental breakfast options . Special diets are catered for, please advise when booking . Packed lunches can be provided . evening meals are available in low season only . 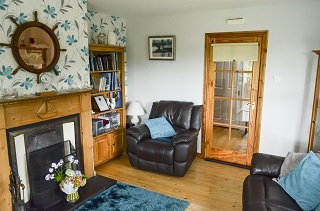 There is central heating throughout and a log/turf fire in the guest sitting room . This room has satellite TV, DVD and CD players, along with a DVD library . There is also a large selection of local interest books for everyone to peruse . 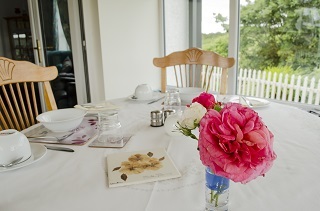 The B&B is 15mins walk from the harbour; complimentary pick up, to and from the ferry is available by prior arrangement . Left luggage facilities are provided . Margaret, the owner of the B&B, having been born and breed on Rathlin, has extensive local knowledge of the area . She would be delighted to guide her guests as to the best use of their time on Rathlin . The B&B is certified by the Northern Ireland Tourist Board . 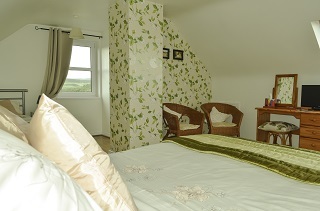 Price from £35.00 per person sharing, bed and breakfast . Reductions for children under 12 yrs. sharing . Coolnagrock Bed & Breakfast is open from 1st April to 31st October . It is important to book the Bed and Breakfast and the Ferry in advance . Margarets late father, Loughie McQuilkin, on his 90th birthday published his first book . 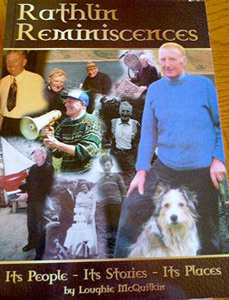 It gives an insight into Rathlin, its people, their stories and its places . The book is out of print at present but is available to read at Coolnagrock B&B and Soerneog View Hostel . Margaret McQuilkin : Phone : +44 (0) 28 2076 3983.